There have been a series of leaks of internal information obviously designed to damage Simon Bridges and National. 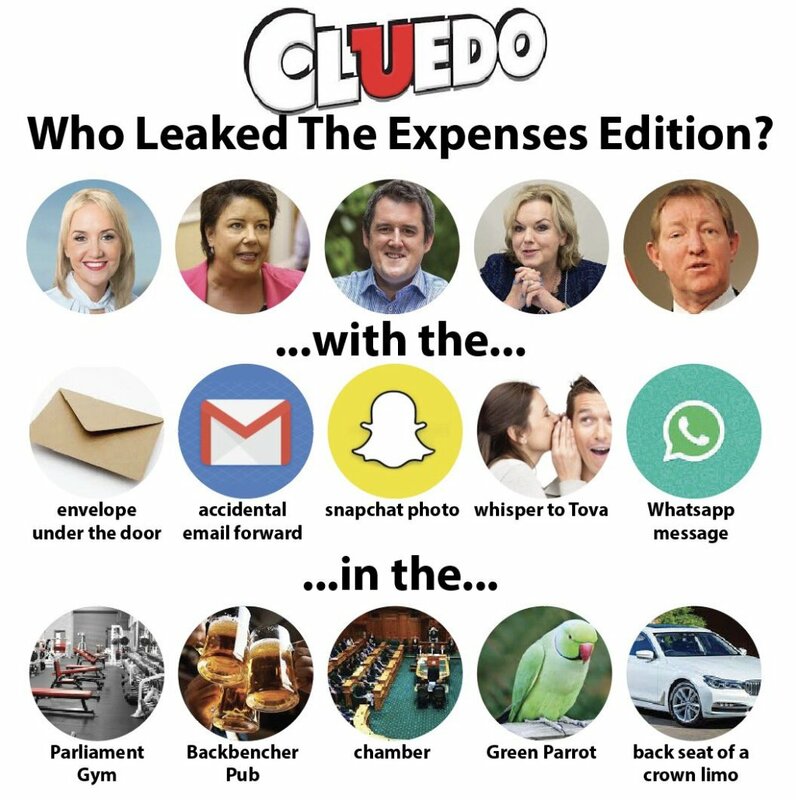 This began with the odd expenses leak just a few days before the information was due for public release, followed by the onslaught from Jami-Lee Ross as the now ex-National MP self destructed. There have been further anonymous leaks of historical information that look suspiciously like a continuation of that attack. There has also been what looks like a Labour campaign to discredit Bridges and destabilise National heading into the holiday period. Leaked UMR polling information has progressed from whispers to journalists to drip feeing of poll graphics. I posted on this one yesterday –UMR polling history – which notably was monthly polling with the last result from October, so without the latest poll. One could presume someone is only able to get old data, or the November poll didn’t fit the hit. There is also a word cloud floating around – Stuff reported on it here How public view Simon Bridges – that was purportedly ‘sent to corporate clients in late November’ and has just popped up. This also indicates it is October data – from the time of the Jami-lee Ross saga, so an out of date targeted hit on Bridges. Ex Labour staffer Neale Jones, now working for a ‘public affairs company, specialising in Government Relations, Strategic Communications and Campaigns’, keeps tweeting a stream of criticisms of Bridges and National. Whether that is personal or part of Strategic Communications and Campaigns is not clear. Mostly this is preaching to the converted, and several authors are involved, but it looks like they have more interested in damaging the Opposition than promoting the Government. Over the same period there are three posts on Labour/Government bills. Will all of this have any overall effect? It’s hard to say, but even though there has been a string of media ‘opinions’ from political journalists dumping on Bridges the consensus is that a leadership challenge would be unlikely with National polling higher than Labour (apart from the leaks of cherry picked UMR polls. In the meantime Jacinda Ardern and Labour keep polling reasonably well – but news of Government progress has not been prominent. Perhaps that’s why there is more focus on attacking National. Plans for a post titled, “How to get there” and intended as a platform for TS readers and commenters to display their ideas and aspirations for improving the chances for each and every one of us (humanity that is) to “get there” have been floated over the past couple of weeks and today might be, by the grace of the TS authors and tech people, the moment for it to surface, glistening and quivering, into the light of day. Fingers crossed. This post is intended to be a place for discussion of the way forward. So, an Open Mike for ideas, solutions and the discussion of the possible. The Big Picture, rather than a snapshot of the day’s goings on. Topics rather than topical. You might want to talk about gene editing or free public transport. Maybe the future is solar? Maybe it’s female? Maybe the future is merely a philosophical concept that’s had it’s day? It would be worth getting a wider range of views than are likely at The Standard. We all hope to get what is now ‘the future’ – the best way forward is a collaborative but keenly contested approach across the political spectrum (and outside it). Jacindarella and Winnie the Pooh need to flush out the corrupt officials and dismantle the Stazi Network set up by the Hungarian Jew JK, which exists here in NZ in the Police, Intelligence Services and Government Departments. These people are employed to serve the best interests of New Zealanders not Mike Hoskins, Duncan Garner, Simon Bridges, Pulla Benefit and the Canterbury Pie Eating Champ ? There’s a few things in that comment that deserve condemnation, but I think this is good moderation – leaving the comment so it can be seen how awful it was, but making it clear it is unacceptable. I don’t know how long he will last there. Jacinda Ardern has described climate change as “my generation’s nuclear free moment” (in a campaign speech in August 2017). CORIN DANN So certainty. Is climate change the nuclear-free issue of your generation? SIMON BRIDGES I would not go that far. Is it the most significant environmental issue? Is it an important long-term issue that we need to deal with and deal with seriously and provide certainty on? Yes. 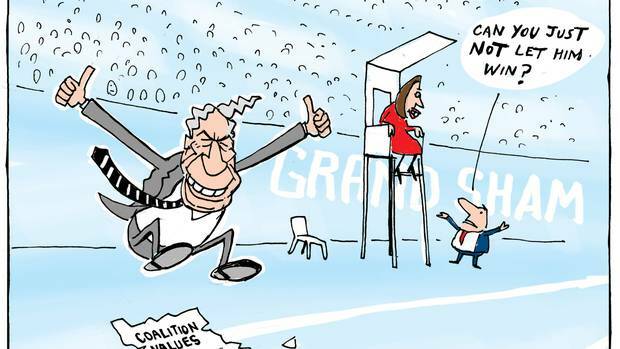 Bridges was vague about where he actually stands on a number of climate issues, and is nowhere near as radical as the Greens, but National have signalled a willingness to work together with other parties – National supporting non-partisan Climate Commission. But how genuine are they? Not at all according to some on the left. MickySavage asked yesterday: Does National really want climate change to be a bipartisan issue? If this is what National and Simon Bridges is promising then all good and the Government can get on with things. But if this is merely a replacement of outright denial with a more nuanced approach designed to delay urgent action being taken then he should rethink this. Bridges has just been reported criticising National MPs expressing doubts about climate change. Many comments at The Standard didn’t trust National and didn’t want them involved. Petty partisan politics is so ingrained some people can’t countenance cross-party cooperation. What I think DTB really means is that he doesn’t want Greens to budge from their position – ignoring the reality of an MMP Parliament that requires agreement (and compromise) from at least three parties. I joined in and said: This is the best opportunity ever for cross party cooperation on dealing with a major issue facing New Zealand and the world. Getting pissy about shunning parties because they don’t measure up to ideals (non of them do) is a bit pathetic given what is at stake. Shuffling their feet so they aren’t considered dead. James is handling this issue beautifully, in the way a snake-handler manipulates vipers. Still vipers though. I welcome @simonjbridges offer to work in a bipartisan manner with the government on the design of the #ZeroCarbonAct. I’m looking forward to sitting down with @toddmullerBoP in the coming months. Fortunately commenters on left wing blogs don’t run things in Parliament, but as Eugenie Sage found out, they can kick up a stink when Ministers follow laws and procedures and allow something activists don’t like. Thank goodness the commenters here are not actually in govt. Most of you would not talk to National on anything (except for terms of surrender). In reality in a range of issues governments and oppositions co-operate. For instance on national super, various environmental issues, a number of national security isssues there is dialogue and adjustment to get a bipartisan (sometimes multi partisan) consensus. In fact John Key’s initiative in Opposition was to do the anti-smacking deal with Labour. One Anonymous Bloke: Here’s a radical idea to improve your public image: stop lying and killing people. Fortunately people like that are nowhere near real political decision making, all they have is futile vitriol in social media.